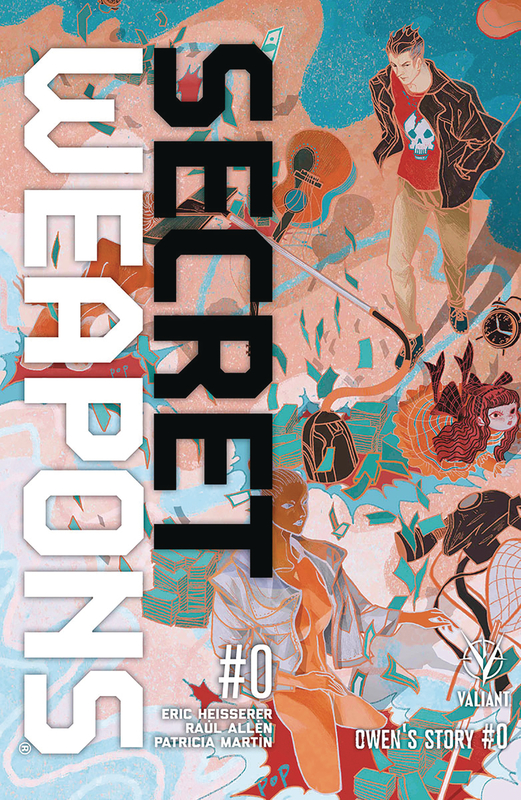 The complete SECRET WEAPONS creative team - Academy Award nominee Eric Heisserer (Arrival) and Harvey Award-nominated artists Ra?l All?n and Patricia Mart?n (HARBINGER WARS 2) - reunites for an all-new, standalone tale spotlighting the Harbinger Foundation's most unique talent of all! Owen Cho is a conjurer?which can be a great deal more frustrating than it sounds. You see, Owen's 'psiot' ability - unlocked at great expense and even greater danger - allows him to materialize objects out of thin air?but he can't control what to summon or when it might arrive. But what do you do with a heap of undesirable object conjured from parts unknown, anyway? Have a garage sale, of course! Before the Secret Weapons take center stage in HARBINGER WARS 2 this summer, witness one of the year's most unlikely and unorthodox origin stories as Heisserer, All?n, and Mart?n come together once again to recount a life lived one item at a time in 'Owen's Story'!